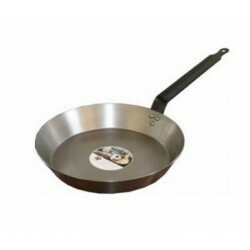 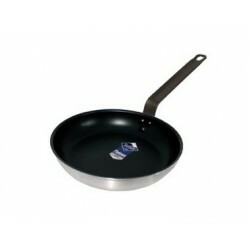 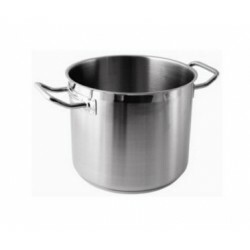 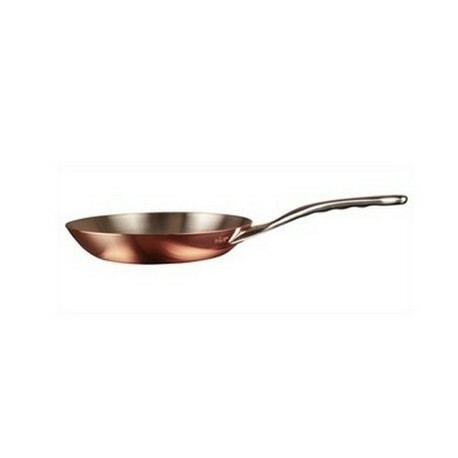 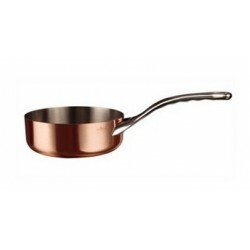 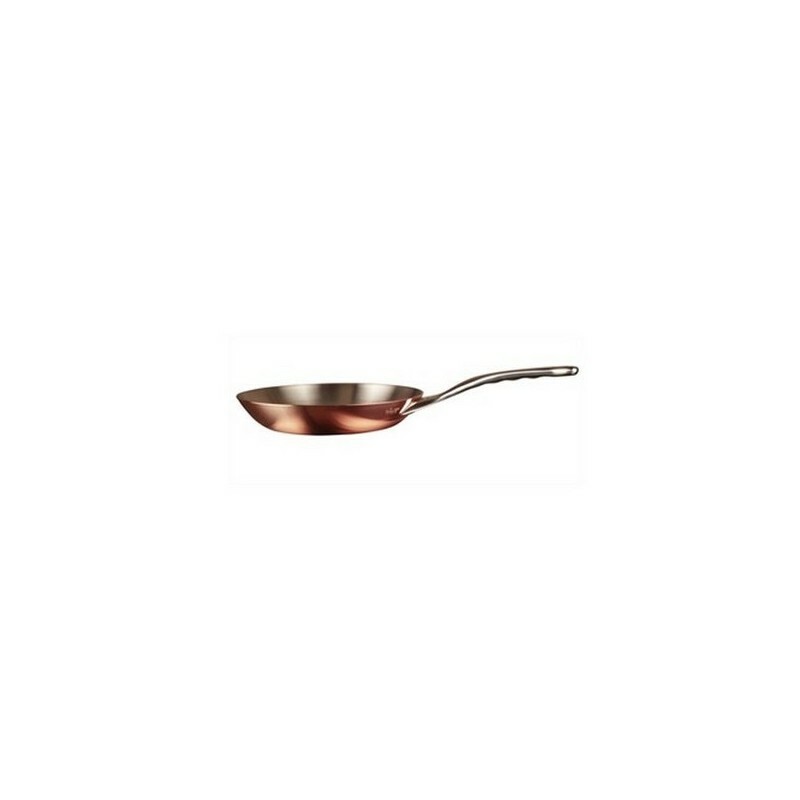 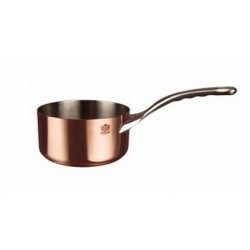 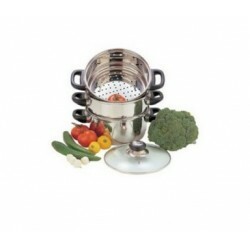 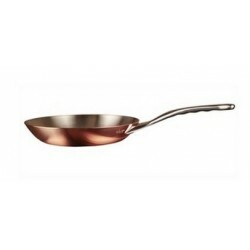 High quality copper fry pan with cast stainless steel handle and stainless steel inner lining, offering excellent heat conduction. 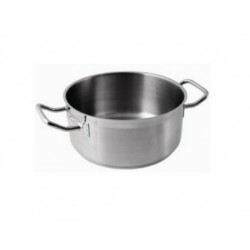 Easy care and no need for re-plating due to stainless steel inner lining. 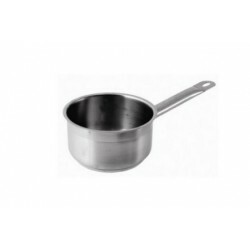 Suitable for all heat sources except induction. 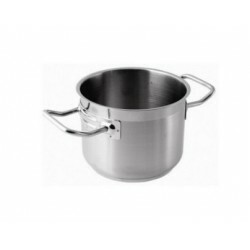 Compatible with stainless steel lids (sold separately).